"[Axelrod's poems are] a moving journey into a landscape where we are all pilgrims making our way down dark roads in search of some transcendent moment that may never occur, yet the will to keep traveling impels us ever forward until we reach a kind of solace and release." "David Axelrod's fine, elegaic and lyrical poems express a sense of loss the contemporary mind must endure, Unaccommodated, on the edge of betrayed nature and nothing." 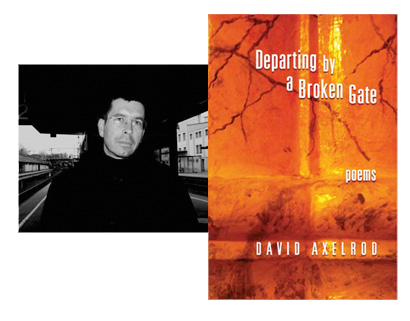 David Axelrod is the author of four previous collections of poems, including Wordcraft of Oregon titles, The Kingdom at Hand and Chronicles of a Withering State. His collection of cultural and environmental essays about the interior Northwest, Troubled Intimacies, appeared in 2004. His poems and essays have been published in New Letters, Boulevard, Alaska Quarterly Review, Quarterly West, River Styx, Verse Daily, among others. He also edits basalt : a journal of fine & literary arts.